All of the opinions on this book are my own. This book was provided by the author Mihai Brinas in exchange for an honest review. This is a little new for me, because I haven’t read a full book of poems before. I’ve read some individual poems in the past, but nothing I would put much attention to. Also, I don’t know too much about poetry. So I’m trying my best to make a good review for this piece of work. 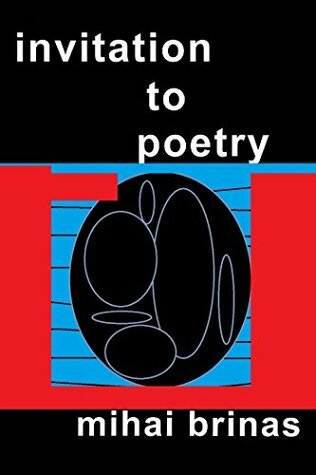 This poetry collection under the name ‘Invitation to Poetry’ contains 61 poems written by Mihai Brinas. He talks about nature, love and music. What I enjoyed about these poems is that they are very understandable. I didn’t have a hard time to know what the poems were about or at least have an idea about that. Especially not being in my native language, it can be hard to understand a poem and all the imagery talking and underlying messages that are used. I used to have a hard time understanding poetry in my native language at school, so I’m glad I at least understood these poems. The subjects of the poems are understandable, even if you may have not experienced any of it. Based on feelings and thoughts of the author himself, the poems are very understandable for other people. The feelings and emotions are described very well and put yourself in a similar situation. There is also a diversity in the emotions. Some of the poems give a happy thought and feeling, while other have a more sad taste to it. These feelings about a poem can change, depending on your on emotions. Some of the poems can be received as happy, but have a sad undertone to it. Your mood will decide what you feel at the time of reading it. Very beautiful. I was surprised by my thoughts about this collection of poems. Basically, I’ve read no poems since high school and it doesn’t really attract me at the moment. Though when the author approached me to read his poems, I thought I wanted to give it a try. And how happy I am I did try. It’s a beautiful collection of poems, that even I could understand. I gave this collections of poems 4/5 stars. Collections of poetry that are accessible are so important, I’m so glad to hear this one resonated with you! I think, for too long, poetry publishers focused on work that was kind of esoteric. Now that poetry is being published with a view to being more engaging with a broader audience, more people are trying it (and enjoying it! ), which is brilliant. Thank you for sharing your thoughts!